"Pink Lady" 1984, Concave Veil Series, acrylic on paper, 42 x 72 in (107 x 183 cm). 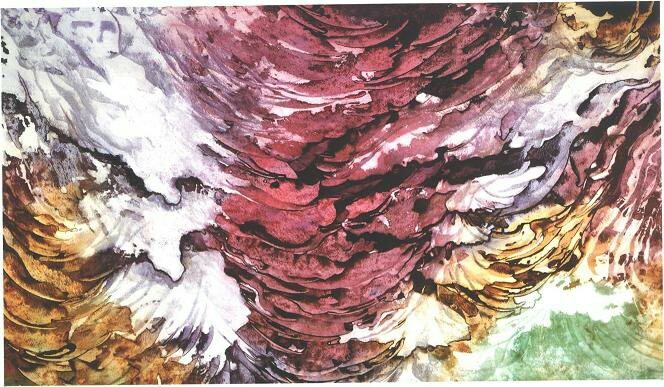 "Autumn Veil" 1990, Concave Veil Series, acrylic on paper, 42 x 30 inches (106 x 81 cm). "Blue Lagoon", Concave Veil Series. "Concave Glacier", Concave Veil Series. "Deep Sea Veil", Concave Veil Series. "Flowing Veil", Concave Veil Series. "Shadowy II", Concave Veil Series. 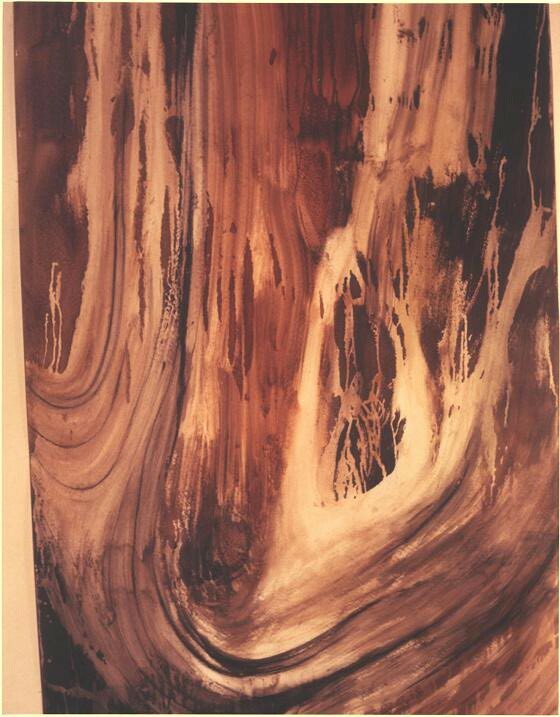 "Concave Veil" 1988, Concave Veil Series, acrylic on canvas, 6 x 10 feet (183 x 305 cm). 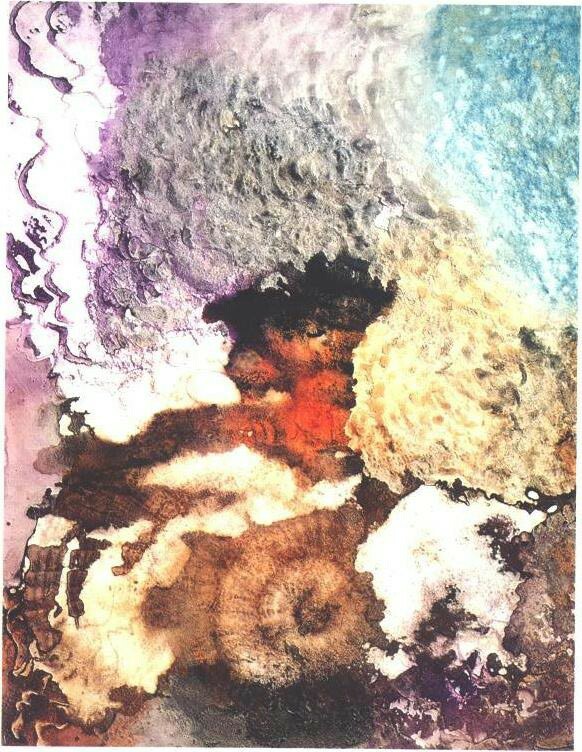 "Spring Veil" 1990, Concave Veil Series, acrylic on paper, 42 x 30 inches (106 x 76 cm). "Summer Veil" 1989, Concave Veil Series, 42 x 30 inches (106 x 76 cm). "Winter Veil" 1990, Concave Veil Series, acrylic on paper, 42 x 30 inches (104 x 81 cm).